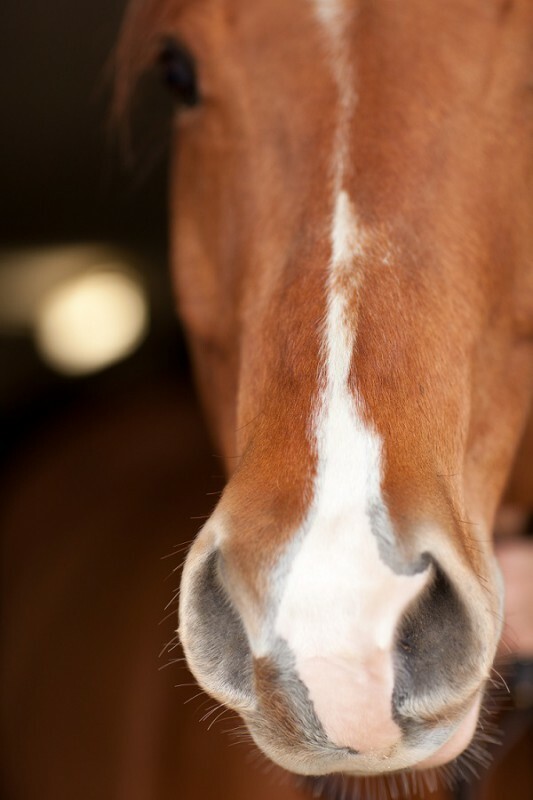 Any horse with a runny nose, coughing, and eye discharge should be seen by a veterinarian, even one with a previous history of a non-infectious respiratory condition. It can be tempting not to take these signs seriously, thinking you know the cause, but doing so may lead to worse problems in this and other horses. That’s because the problems you list here aren’t classic for “roaring” or laryngeal hemiplegia but are common in contagious diseases like equine herpesvirus, influenza, and strangles, making it vital to have a vet exam. In addition to ruling out these and other respiratory illnesses which can spread from one horse to another and even be life-threatening, obtaining a diagnosis could rule in something like inflammatory airway disease or recurrent airway obstruction, now grouped together as Equine Asthma Syndrome.